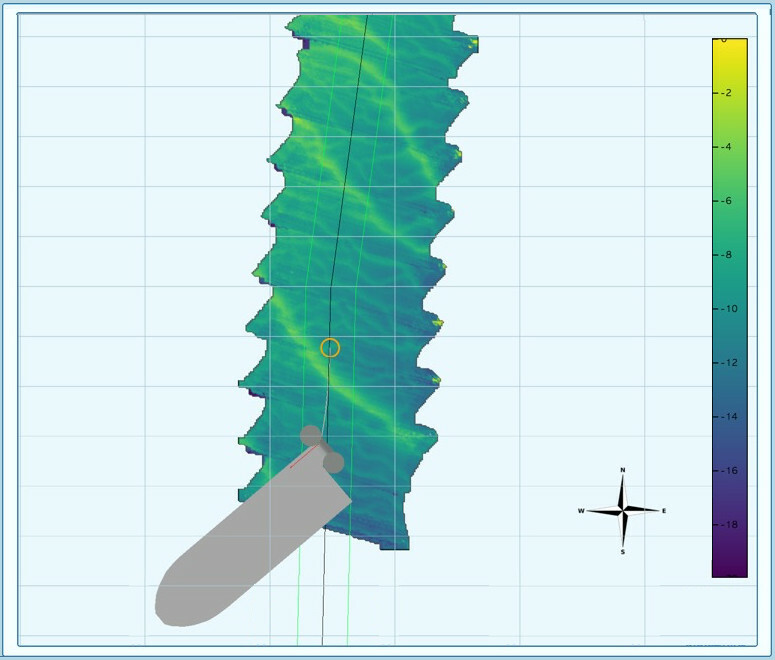 OASYS Cable is the first subsea sonar system that is capable of automatic cable recognition. 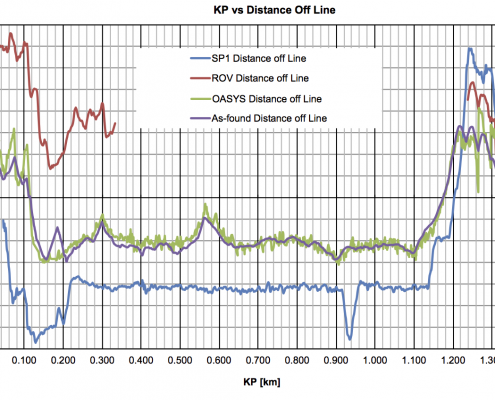 Our in-house developed data processing algorithms detect and log the geometry of the cable automatically. We relieve the operator from the identification task: no ‘point & click’ required for the operator. The benefits are significant: the system is much faster and less sensitive to human errors and thereby reduces operational risks and costs. 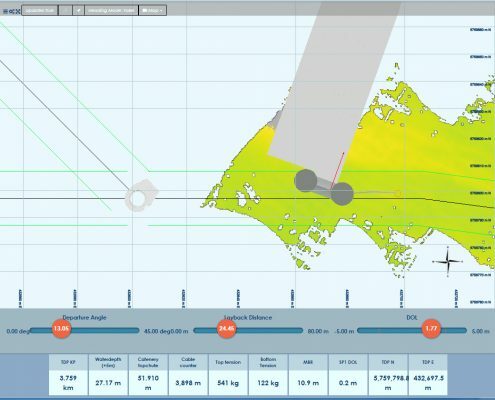 The system provides time and equipment saving features such as instant cut calculations and post-lay survey capabilities. 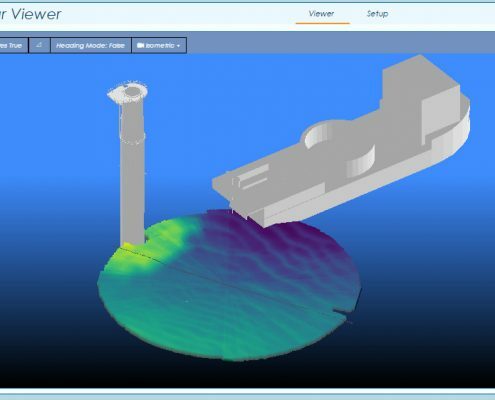 OASYS is a measurement based monitoring system, providing superior subsea positioning quality compared to model based systems. 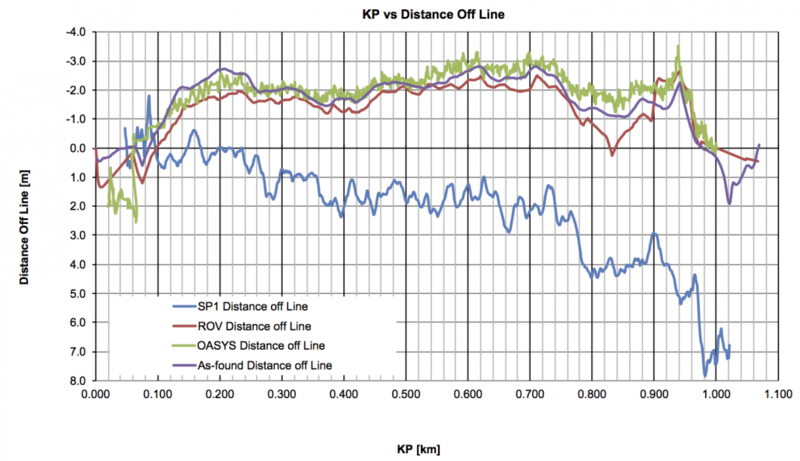 OASYS Cable automatically detects the geometry of the cable. 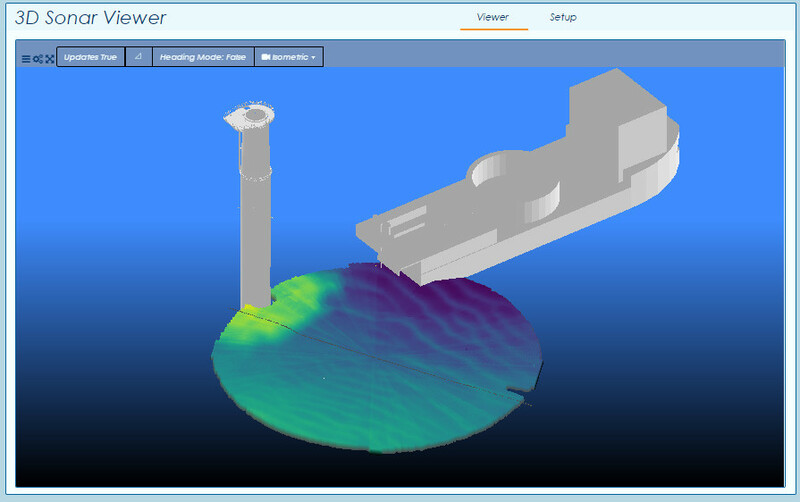 Key installation parameters are visualised realtime in our web-based user interface. The interface is conveniently split into two sections. 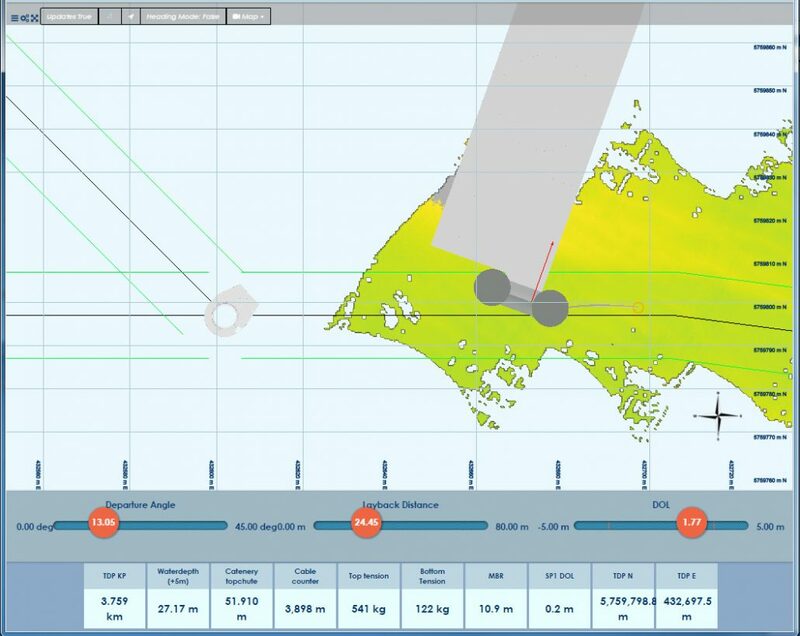 The upper section provides realtime bathymetric information, a visual indication of the touchdown point and pre-loaded data such as route position lists and offshore structures such as monopiles or platforms. Alarms can be raised if the cable installation parameters tend to move outside predefined ranges. This feature can prevent formation of slack loops by always ensuring sufficient back tension is present. 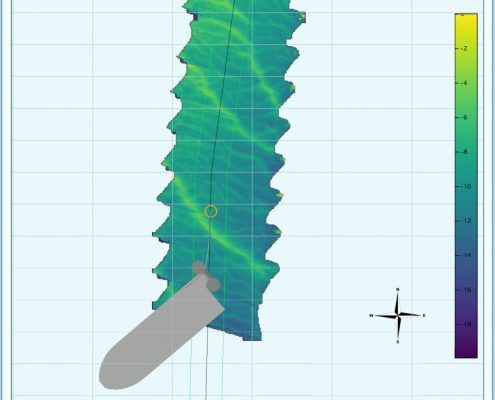 To our knowledge the OASYS Cable system is the only system giving real time access to the on bottom tension and bathymetric data simultaniously. Laying cable with predetermined bottom tension provides an unprecedented level of control in alter courses. 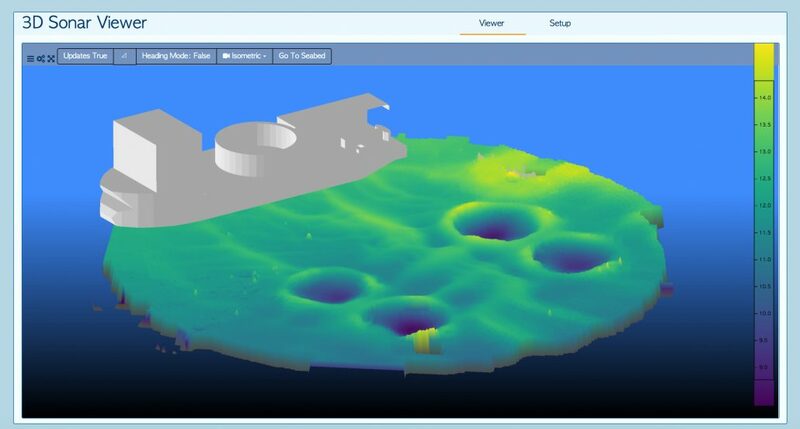 A recently implemented feature is realtime bathymetry visualisation in our web-based user environment. 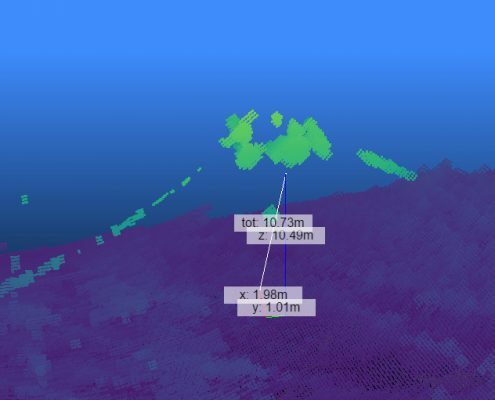 Realtime bathymetry allows for the detection of seabed features such as pre-installed trenches or avoidance of laying cable on boulders. 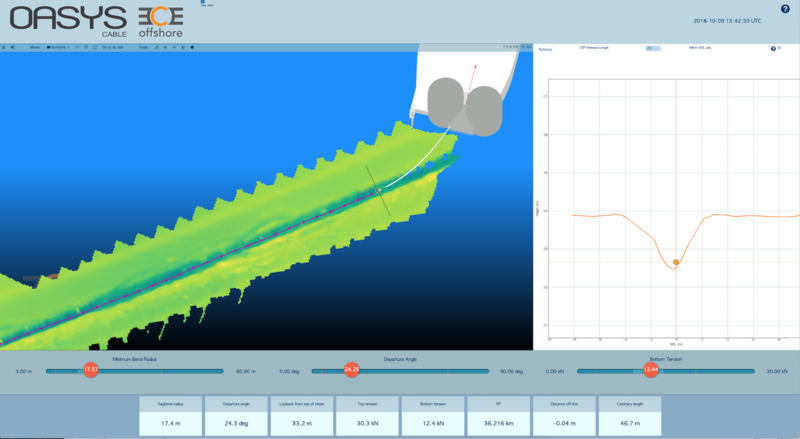 The system has been tested in both laboratory environments and offshore using ROVs & as-laid surveys. 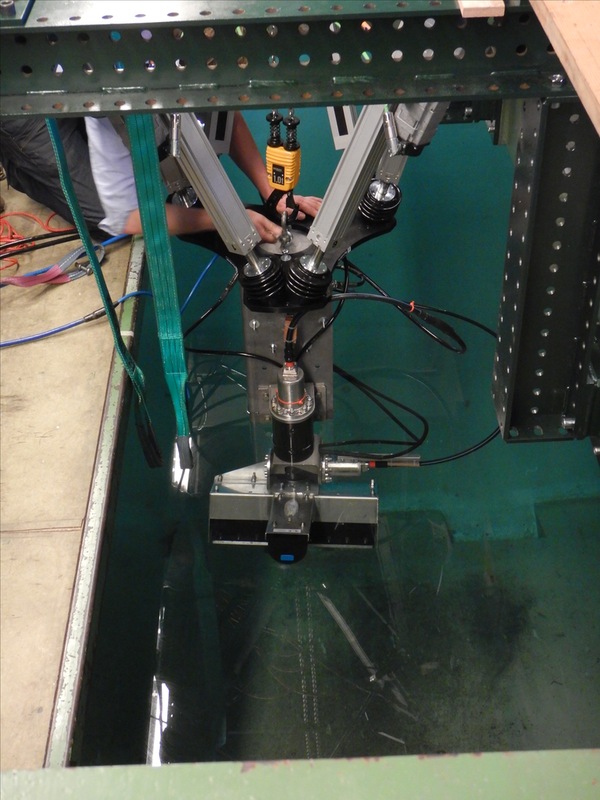 The laboratory experiments indicated a very good match with theoretical models and in-situ measurements: touchdown accuracy was estimated at 1cm/m water depth. 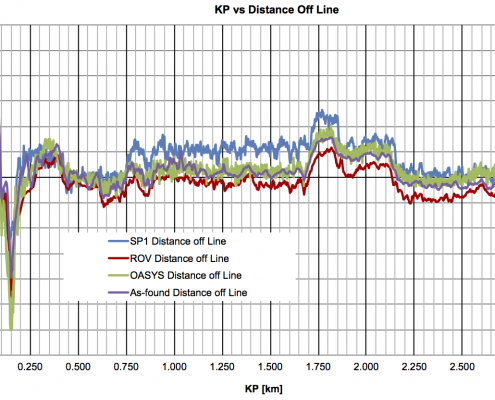 Offshore tests using ROVs indicated similar accuracies. 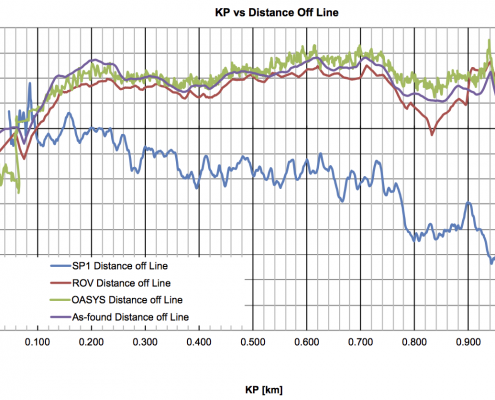 Initially, accuracy was reduced when the cable was subjective to strong side currents. This issue was fully solved in the spring 2017 version of our detection algorithm. 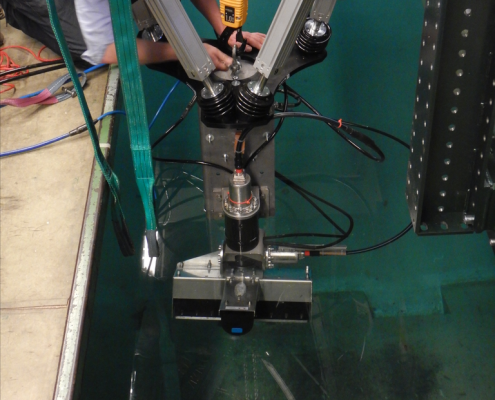 Positioning the sonar system below the thruster wash. Our Universal Deployment System is strong enough to lower the system below the thruster wash while maintaining sufficient stiffness for accurate positioning. 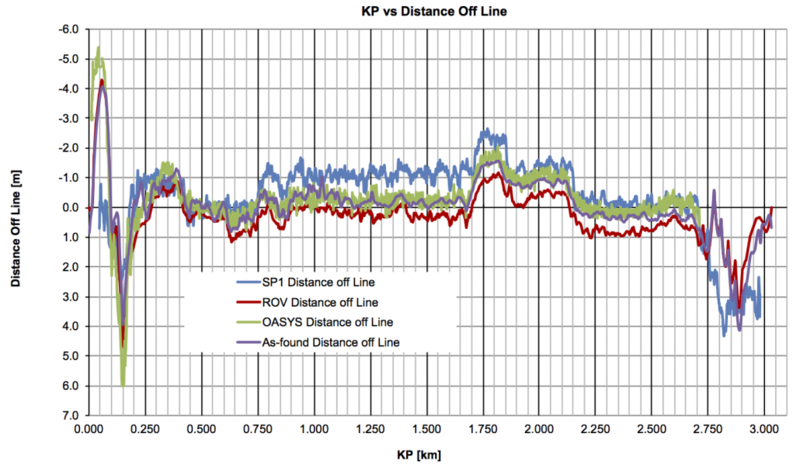 A subsea mounted MRU accounts for any relative motions that do occur. 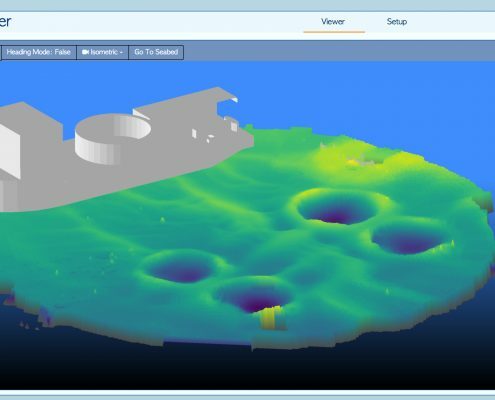 Implementation of in-house developed filters and detection algorithms serves to segment the data into noise and usable information. 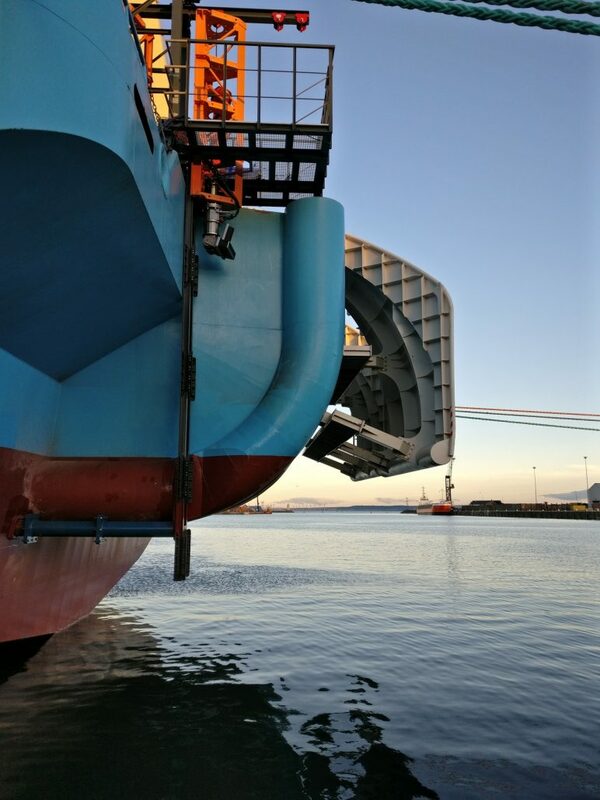 During free-lay, the cable position will be determined by the OASYS in combination with either the vessel’s GNSS positioning system or a dedicated GNSS system. 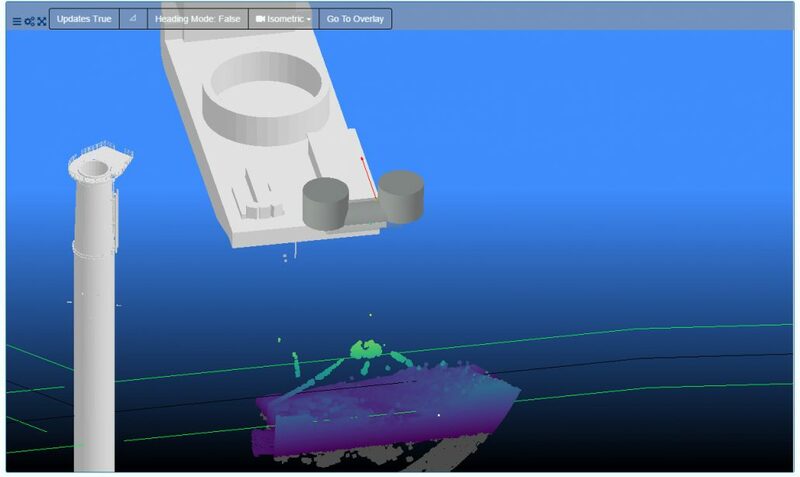 The system measures the touchdown point as offsets to the sensor head, thus relative to the vessel. 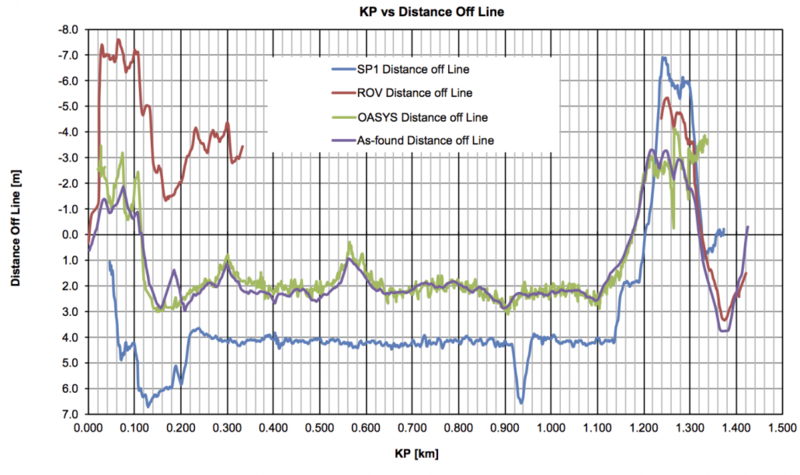 This relative position is then translated to a global position using GNSS data. 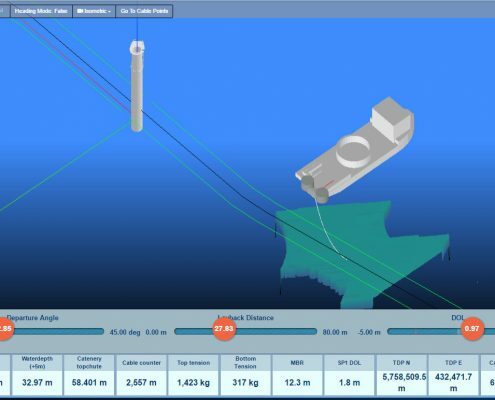 The chute coordinate can be added as additional support point for the geometry. 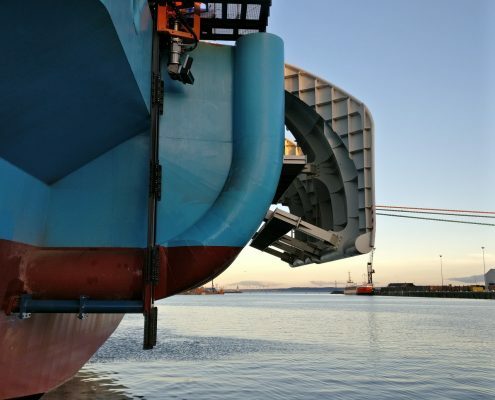 The measured data is motion compensated, time stamped, logged and broadcasted on the vessel network so it can be recorded in the vessel logs and visualized on the operator’s navigation screen. 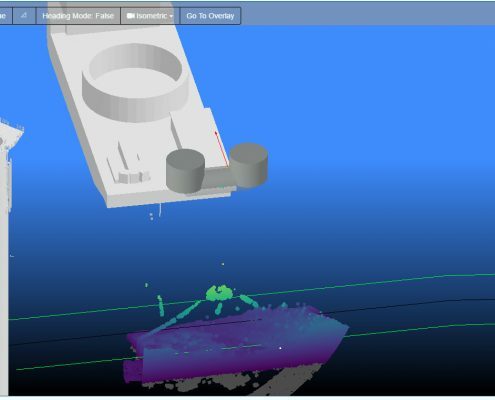 Calibration of the system comprises of performing a patch test combined with an in-house developed algorithms where the results of multibeam sweeps under various pan-tilt rotator angles are used to correct any calibration errors. 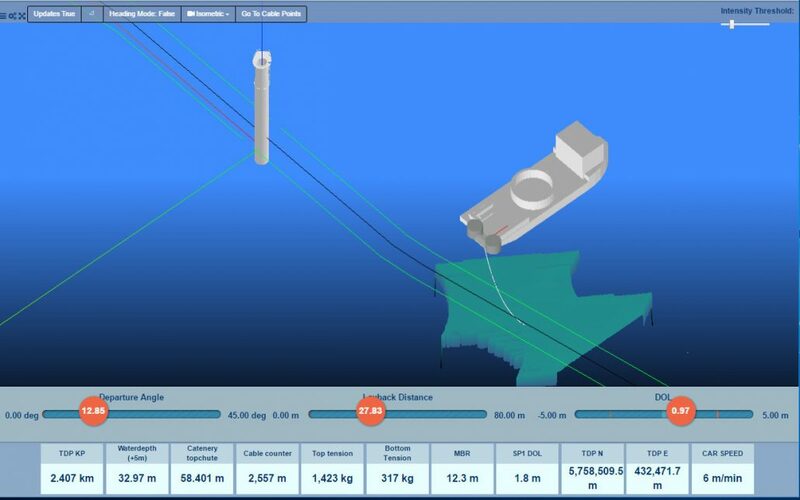 The system in its current state is fully capable to perform cable detection during freelay operations under any environmental conditions. Up to today, the system has been used to monitor 88 cables, both infield and export cables. These features will be implemented during the winter 2017-2018 season.